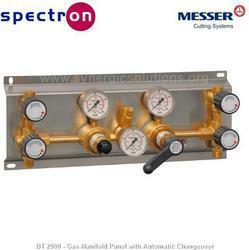 We manufacture superior quality Change Over units, which are installed in co-rdination with aneasthesia gas apparatus. Manufactured using best quality metals like, stainless steel, cast iron, brass or chromium and other requisites. 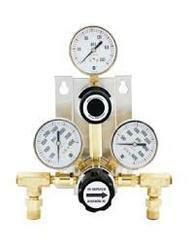 It’s easy push button system helps to release gas systems. We manufacturers of quality and precision engineered changeover unit without liver. Normally positioned at the top of apparatus . It has connect to vaporizer. Keeping the variegated requirements of our customers in mind, we are engaged in offering Changeover Unit. - LED & BEEP Sound indication if any cylinders gets empty. MCB changeover 40 A FP are made by using superior grade raw materials and are known for their durability as well as longer performance life. We are offering it at industry leading prices. These are widely appreciated by the clients due to their simple & reliable designs, excellent performance and durability. Normally positioned at the top pf the apparatus table. It has a built in emergency oxygen push button and change over facility from open to closed circuit and vice versa.